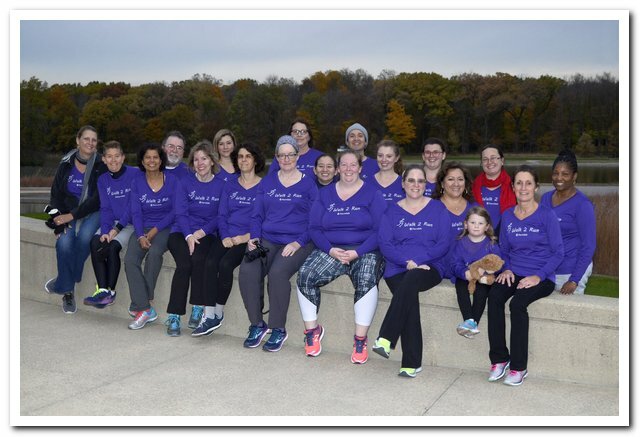 Congratulations to this session’s Walk 2 Run graduates. Front row, from left: Linda Granbur, Stacey Lindeman, Alpana Shenai, Sue Wilczak, Sezen Sekmen, Marguerite Tonjes, Scarlet Norberg, Kim & Madison Pearce, Jeanne Ecker. Back row, from left: Elliott McCrory, Griselda Lopez, Sonya Wright, Jeny Teheran, Julian Badillo Rojas, Kirsty Duffy, Anne Norick, Martha Garcia, Lisel Ruterbories, Carolyn Johnson. Not pictured: Jessica Pudelek, Art Lee, Nandhini Dhanaraj, Elena Farago-Trofimuk, Regine Cowans, Patricia Hedrick, Liang Zhang, Latoya Woods.